Worwyk is strictly a studio project band, fronted by Tom Vitacco, a musician based in the suburbs of Chicago. Tom began playing guitar at age 16, jamming with some high school friends as they all learned their instruments together. Tom played in a couple of different bands in college, one playing generic cover tunes (mostly non-metal) while the other was mainly Metallica and Slayer covers. 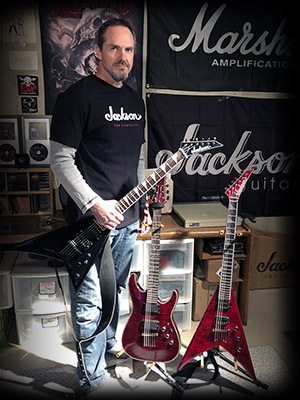 After graduating in 1986, Tom soon bought his first "real" guitar, a custom made BC Rich Bich, for which he waited six months while it was hand built in California. In 1988, Tom hooked up again with his high school buddy John and they formed a technical thrash band with some local metalheads. After a few basement party gigs, the two guitarists struggled to find like-minded metal musicians and after a while they gave up on trying to get a band together. Tom also had a four-track cassette recorder and a drum machine so the two recorded their first album, called Serpentile Delusions, under the band name Vitalecco, which is a combination of their last names. Tom and John soon went their separate ways and Tom continued recording albums on his own as Worwyk. From 1990-2004, Tom put out 11 Worwyk albums while also playing in a side project called Affliction and recording with an online collaboration project called Koalition. He also co-wrote and played on the 2010 album Metal Rebirth with another side project known as Metal Force. Since Worwyk is strictly a studio project band, they do not play live. After Tom finished the 2004 Worwyk album The Hanging Man, he decided he needed to find a real vocalist to take the music to a new level. He found vocalist Mike O'hara while browsing the music site Soundclick and the two hooked up to record the 2006 release In Solitude, which sold well and finally got Worwyk attention with the international metal scene. Mike's aggressive, modern voice fit perfectly with Tom's riffs. Mike wasn't able to do more than one album though so Tom went out looking for another vocalist. Tom came across vocalist Jason Russo's myspace page so he contacted him and asked if he was interested in collaborating on a new album. Once Jason was able to set up a home studio, he agreed to sing on Malignant, the highly anticipated follow up to In Solitude, released in 2009. 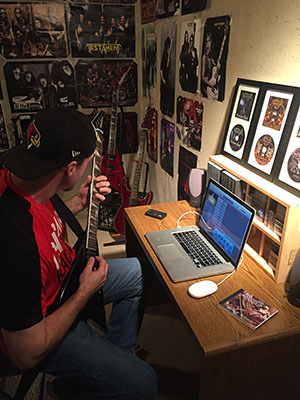 The album had 10 new songs of true metal highlighted by Jason's dynamic vocals and Tom's crunching yet melodic guitar work. Lyrically, the album continued to deal with the topical themes started with In Solitude, including medicine, religion, abuse and tragic human behavior. Tom and Jason continued to work on new songs and released the album Shadows Black in 2013, a natural progression from Malignant which refined the traditional metal style Worwyk has developed over the years. Since the release of Shadows Black, Tom went back into the Worwyk archives and re-recorded a few songs with Jason singing on the new versions. The two also collaborated on a song for a rock musical called Metatron. Worwyk has been on hold for a while now and during that time Tom wrote and recorded a new album called Your World for his side project Shadows Black. The songs use male/female vocal loops and feature a more synth driven sound as compared to the traditional metal of Worwyk. Tom also started a new project called Insynirator and released a new album entitled Lost in the Darkness late in 2017. Worwyk released a new album called Decapitator in 2018 consisting of brand new songs and some older tunes recorded with Jason in 2014/15. Recently Tom started a new project band called Divisiv, which combines gothic, orchestral and traditional metal with clean and aggressive vocals. 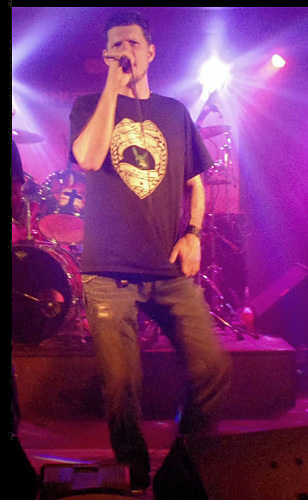 Jason Russo, Heavy Metal vocalist extraordinaire, was born in Jacksonville, NC and raised in Buffalo, New York. He has been singing Heavy Metal music since he was 15 years old. His first song was “Aint talkin 'bout Love” by Van Halen and when he grabbed that mic, he knew that this was what he wanted to do for the rest of his life. Jason has taken guitar, classical piano and vocal lessons as well as opera lessons, music theory, and sound engineering courses. He has played in the bands Poetic Justice, Ballistic, The Unexpected/Suicide Jack (same band), Opus, Herod, Darkling, Cheap Evil and Worwyk. It takes a lifetime to learn what Jason has learned and now that he is no longer singing for his previous Darkling he hopes to find the time to share his stories and experiences with those of you who would take an interest. He has played countless shows, has loads of studio recording experience, been signed to both indie and major labels, opened for the biggest names in the business and toured the East Coast and the Midwest. Since Darkling, Jason has had a lot of time on his hands and pretty much went into solitude both after being down about the band ending and frustrated with the music scene in general. Show attendance was dropping, turmoil/arguments within the band; it seemed that what was once fun was becoming increasingly stressful. As soon as the band had completely dissolved, Jason felt that it was probably a good time to retire from the music scene for a while at least. Right around the time of Darkling’s demise, Jason got an email from musician Tom Vitacco in Chicago asking if he’d be interested in doing vocals for his latest work because his last vocalist, do to time constraints, was unable to work on his latest project. Jason listened to the music and was immediately impressed by not only his past work but his current work. Within minutes of listening to his music, melodies were pouring out of Jason with an ease he hadn’t experienced since working with Darkling. Only problem was Tom had an entire CD written and there would be no way Jason could afford that much time in the studio. Tom told him that he and the vocalists he worked with all have recorded from home studios so Jason told him if he helps him set up a home studio, then he would be happy to record the vocal tracks for him. A few months later Malignant was released to critical acclaim worldwide, much in part because of Jason's dynamic vocals. Three years later, Worwyk released Shadows Black, a new album which continues where Malignant left off. Shadows Black is classic Worwyk – crunchy riffs, melodic vocals, screaming solos and a few keyboards. If you liked Malignant you will love Shadows Black! 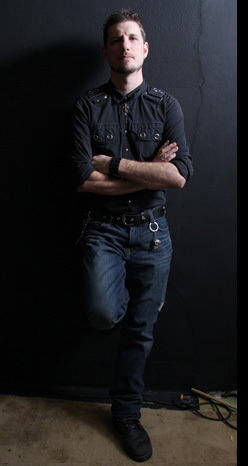 Mike O'Hara (DragonLips, Reality) sang on Worwyk's 2006 disc entitled In Solitude. Mike's aggressive vocals fit perfectly with Tom's songs and In Solitude was very well received by the metal community, especially in Europe where Worwyk finally started selling CD's. The vocals (the term is used loosely here) for all Worwyk albums before In Solitude were handled by Tom - a true one-man band at the time.